This racket is ideal for all-around players looking for a maneuverable racket designed for great spin and power. It is used by Caroline Garcia, Eugenie Bouchard, Donna Vekic and Timea Babos. 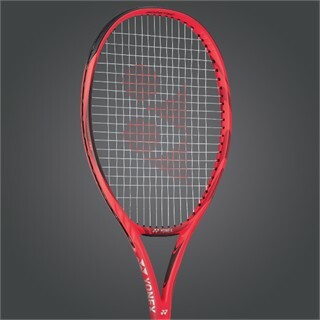 Free delivery available on Yonex VCore 100 300g Flame Red! Order now! Do you own the Yonex VCore 100 300g Flame Red?